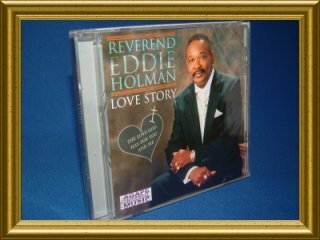 Welcome to Agape Universal Music, the spiritual world wide web home of the Reverend Eddie Holman. Eddie's long-awaited, uplifting, contemporary and traditional Gospel Music CD from the legendary vocalist extraordinaire is now available from Eddie's main site. Go to the merchandise page of eddieholman.com. Experience this track from the album, compiled by DaddyC. 1.The love of God or Christ for mankind. 2.The love of Christians for other persons, corresponding to the love of God for humankind. All content within this Web site is protected by copyright.